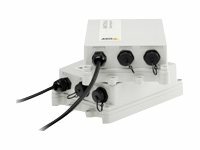 Power over Ethernet (PoE) offers an easy, fast and cost-effective solution for powering network products. 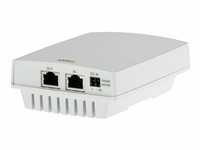 A midspan injects power and data to the network device with built-in PoE support. No need to replace existing Ethernet switches and cabling infrastructure. 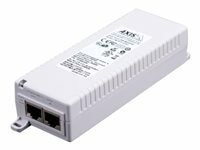 AXIS T81B22 DC 30 W Midspan is IEEE 802.3af or IEEE 802.3at compliant and can be used with all Axis network products that have built-in support for PoE.